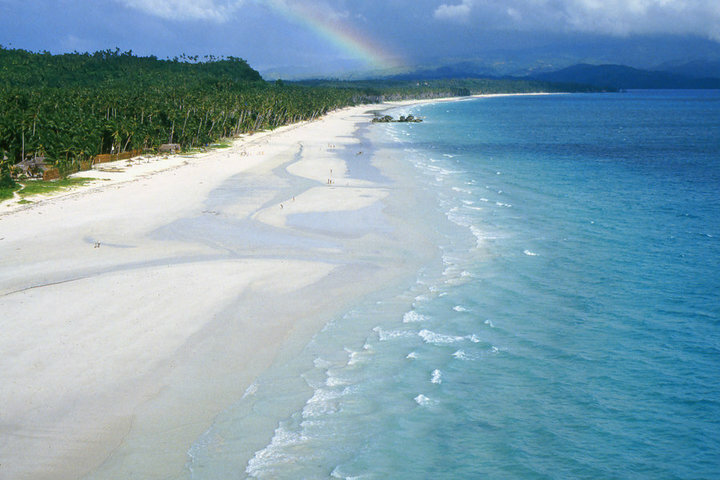 Boracay White Beach in the late ’80s, a postcard photo by Rene Thalman. Island Paradise. Pristine, almost perfect. Now, it’s overpopulated, overdeveloped and polluted. If we could only turn back the clock. Via Five signs of a healthy beach. It is sad when you find a place that was once picture perfect turn into a dump of sorts. I have seen this to a couple beaches I was fond of. IT seems people these days seriously lack in common sense and are too busy to pick up after themselves. While I cannot comment on over population of such places but at least people should keep them as pristine as possible. Wow! Amazed to see such a beautiful piece of 80s! Amazing find! But I’m sure the beach isn’t as beautiful now, is it? Hi Raaj, thanks for visiting and commenting. In fairness, Boracay is still beautiful. It may not be as beautiful as it was before, but it ranked second for the “Best Beaches in the World” in 2011, based on user reviews from TripAdvisor. There is a dark side of Boracay that is not being told. To name a few is the growing population, poor waste management, while mass tourism had environmentally destroyed the islands prestine state, and especially the mistreatment and the discrmination of the indigenous Ati people. The greed of politicians and corporation plays a big roll in this, as they do in many part of the country.